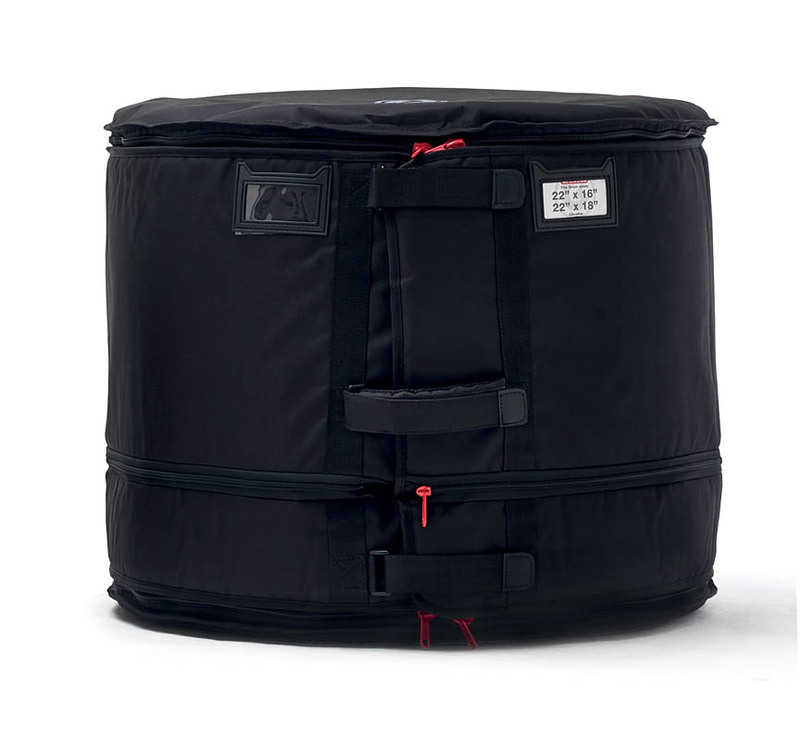 The unique Gibraltar Flatter Bags are expandable in both diameter and depth. They are easy to load and can accommodate standard or oversize drums. When not in use; the bags unzip to collapse completely flat for out-of-the-way storage. The zippers are large and durable and the bags include comfortable padded handles and industrial-grade Velcro straps. Size labels help identify each drum and an ID tag holder is included for easy recognition.